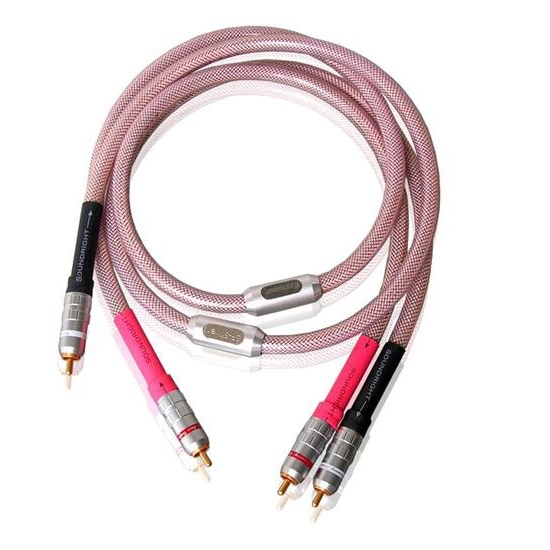 This cable is used to connect the audio output ports of the CD player, SACD player, DVD player and VCD player to the input ports of the amplifier. The patent structure (see the cutaway view on the pic) -"Coaxial frequency-division transmission" was put to use in this cable. 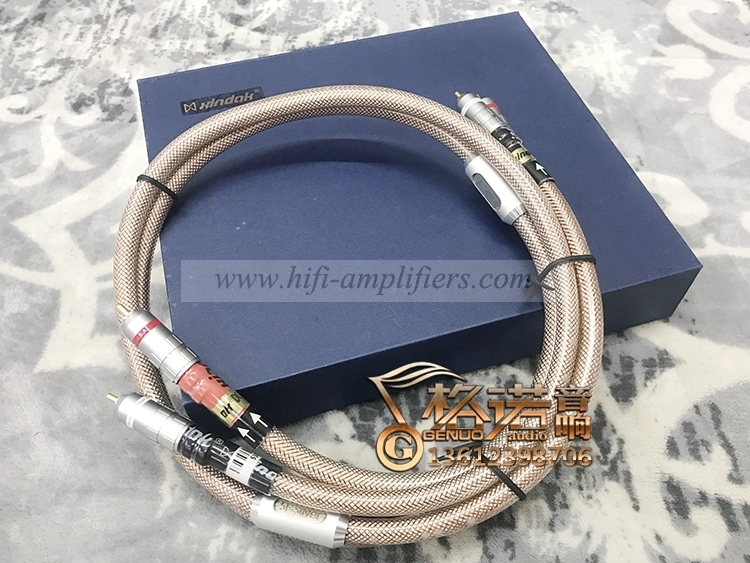 The negative polarity, also as the external conductance of the coaxial structure, is consisted of 48 wires of lacquered OFC, which were twisted together as a braiding net. It could effectively avoid the electromagnetic disturbance and ensure the high purity of the signal. 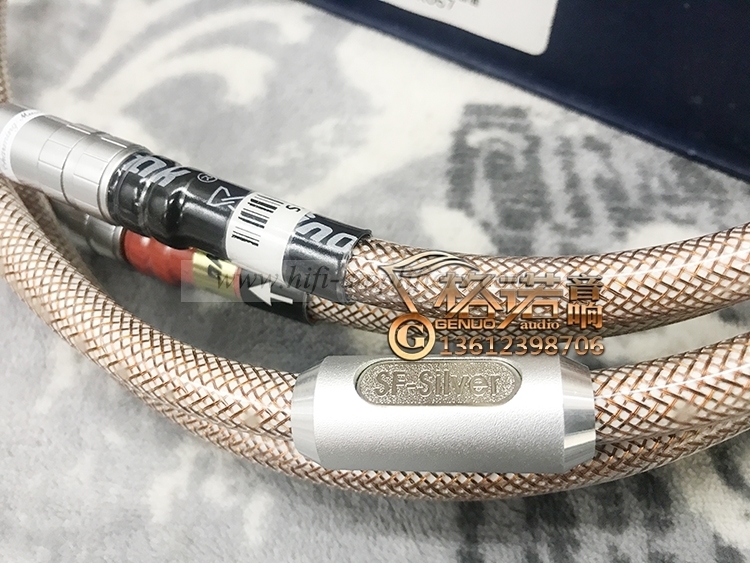 The positive polarity, also as the internal conductance of the coaxial structure, is consisted of two parts: the 0.1X3.3 mm, 4N silver alloy foil, and several lacquered twisted multi-strands single crystal copper wires. Compared with the columniform conductance, the flat conductance has much bigger surface area on the premise that both of them have the same cross section. In other words, the flat silver foil could reduce the "Skin Effect" greatly especially on the high. 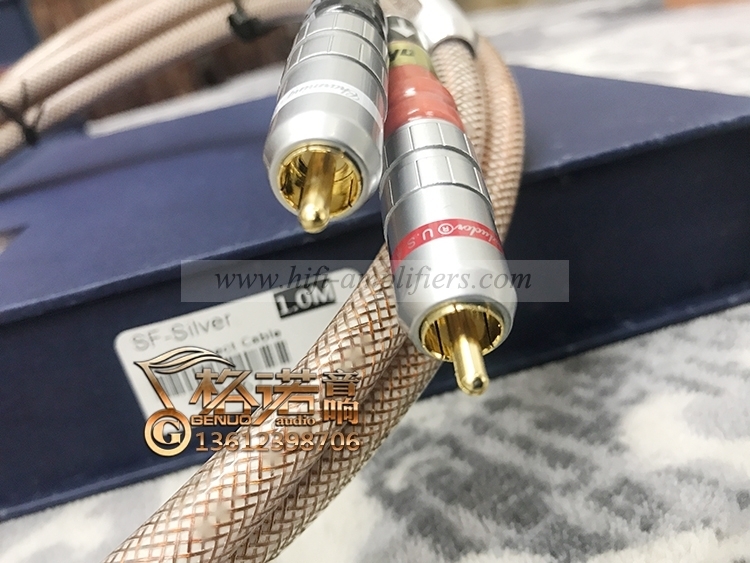 Therefore, the high frequency signal, which is transmitted through this flat foil could remain the most details. Meanwhile, the middle frequency signal is delivered by the lacquered twisted OFC wires. In the end, the low frequency signals are transmitted averagely through all the conductance. Herein, the different signals in different frequencies are transmitted in different paths, the internal disturbance is reduced greatly, besides, because the loss on the high is also extremely decreased, the entire sound is of more transparent high, more mellow middle and more powerful low. Especially during the huge dynamics, the sound is not turbid. 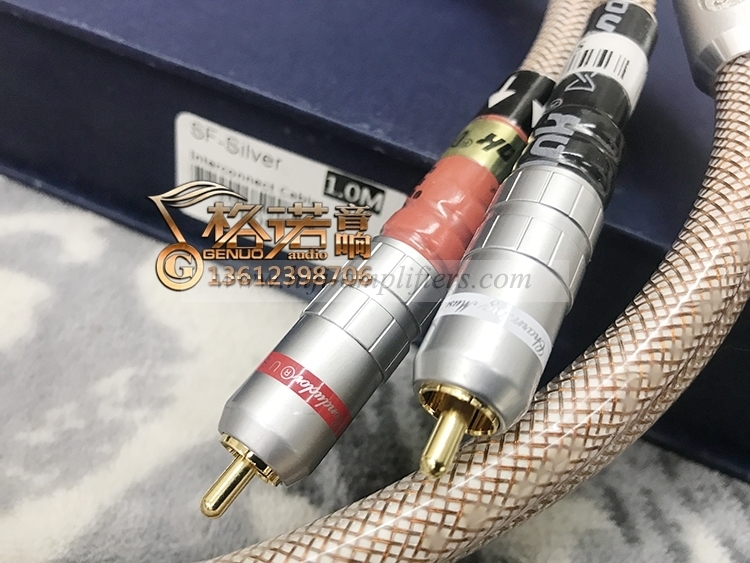 It adopts the 24K gilt snap-on coupling RCA connectors, which could reduce the contact loss to the minimum and ensure the reliable use. Other: The length can be made as your requirement.